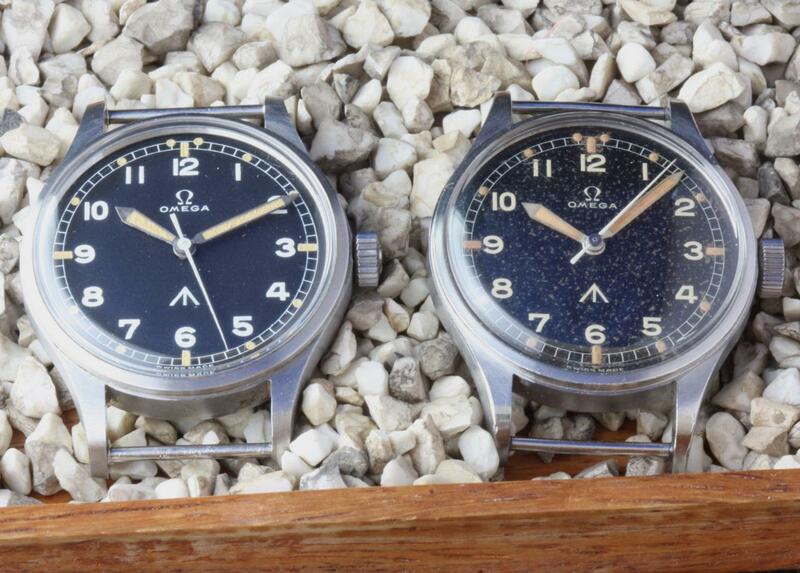 Two excellent examples of the British military watch known as the Omega Thin Arrow or Omega '53 used by the British forces. Limited number made in 1953 only. 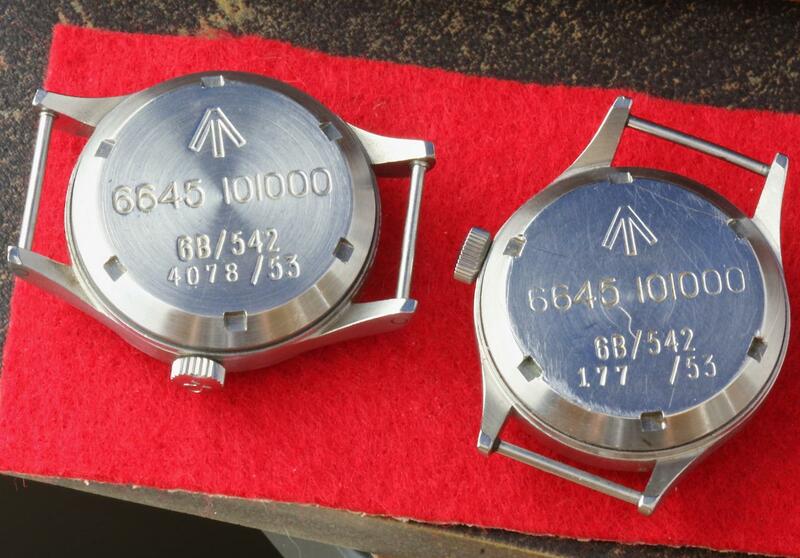 On the left is a "Bienne dial" tritium dial example and on the right is a radium dial example. The radium dial watch with issue number 177 is one of the earliest issue number watches still in the wild. Watches are $8500 each plus shipping costs. Choice of Aviator, NATO or pigskin strap included. I'm also offering an Omega '53 Fat Arrow and two Vietnam Benrus GG-W-113s (a 1973 and a 1974).